The secret of success is to do the common things uncommonly well. Hong Kong is a fascinating world city. It is also a very safe city to visit. It is easy to get around because the public transportation system literally rates as the best in the world and there are a panoply of guidebooks and how-to websites published about how to visit Hong Kong. You can't order snake soup at Starbucks! 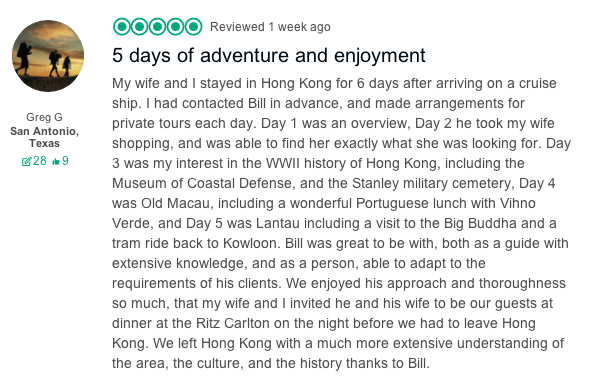 Yet, Hong Kong can seem like an exotic mystery to uninitiated first time visitors, particularly once they venture away from the modern ambiance of Central, Admiralty and the other gentrified districts of Hong Kong Island. 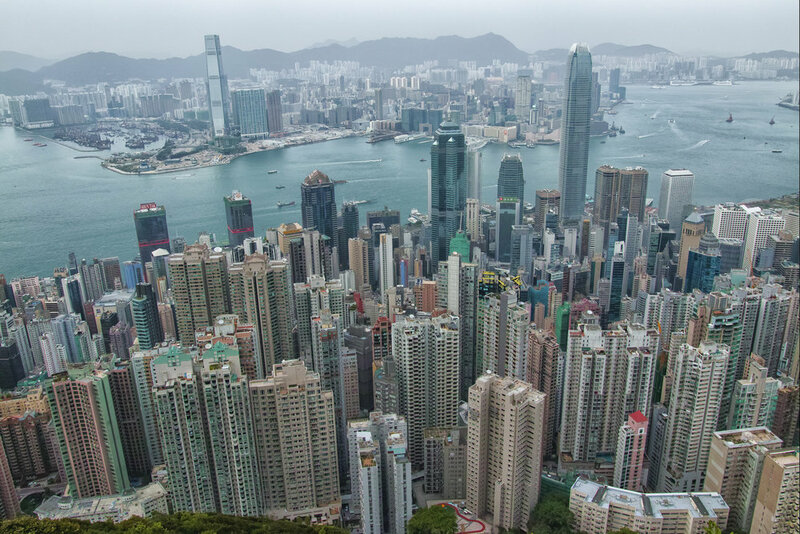 Amazingly, quite a few expatriates living in Hong Kong know very little about the Kowloon Peninsula, a place some still refer to as "the dark side." You can't order snake soup at Starbucks! While there is a heavily promoted list of touristy attractions highlighted in the guide books and popular tourism websites, it is a daunting task to quickly decipher the best ways to experience the authentic street fabric of this wonderful city. Behind the much ballyhooed veneer of glitzy shopping malls, Michelin starred eateries and typical extravagance to be found in this leading financial metropolis, there still exists a remarkable Cantonese street culture populated by a diversity of local and regional peoples, embedded with their indigenous customs and festooned with remarkable improvisations in public and private space. Bamboo scaffolding, colorful awnings, tarps, styrofoam blocks, corrugated sheet metal, wooden skids, plastic bottles, laundry poles, outdoor furniture, oversized hanging signage and such; these are the ubiquitous raw materials of neighborhood street markets, hawker kiosks, outdoor (dai pai dong) restaurants, makeshift street shrines, funky building facades and the fractured remnants of refugee squatter colonies. So far, this vibrant street culture has managed to survive the continuous post-handover onslaught of rigid bureaucracy, modernist planning, globalism, hyper-consumerism, runaway real state development and myopic urban renewal in a very unique way. Rudyard Kipling once wrote: "East is east and west is west, and never the twain shall meet." On my private Hong Kong walking tour you will see and experience first hand what good old Rudyard had in mind! In addition to the essential points of interest not to be missed on your first visit to Hong Kong, your personalized private Hong Kong walking tour will include access and exposure to all of the above. Sadly, the redevelopment clock is ticking and much of what you will see when you engage me to show you this fascinating symphony of street life will undoubtedly disappear in the coming years. Best to experience the authentic side of Hong Kong while you still can! It is, quite simply, impossible to truly experience this authentic Cantonese street culture from the inside of a tour bus or as a single participant in a large fixed itinerary "group tour" in a hurried 2.5 hours. Furthermore, waddling along with a gaggle of 25 strangers, each wearing a blue tooth headset, is less than an ideal way to experience and photograph authentic street life in an unobtrusive manner, let alone to expect a modicum of personalized attention from your guide. You certainly will not be enjoy a refreshing dong nai cha (iced milk tea) and oven fresh egg tart sitting at a small table in this old school cha chaan teng (tea house) on old Boundary Street either. And in the end, you will discover what you knew had to be the case all along: there is no such thing as a free tour free lunch. You will undoubtedly be pestered to avail yourself of other product offerings and shamed into paying a minimum suggested gratuity. So much for the "free tour" meme. If you have time to waste, you may feel inclined to waste it. Conversely, sophisticated travelers rarely if ever have either the time, inclination or the patience for hype and disappointment. There are two ways to visit spectacular Victoria Peak. One way is to go with a bus tour or large group tour. This way will entail all of the attributes of a visit to a world class tourist trap, complete with fast food outlets, tacky side attractions, throngs of tourists, souvenir shops and retail outlets inside two shopping malls. Definitely not recommended. The infinitely better way is to get a little fresh air and exercise strolling through the forest to arguably the most spectacular city view on planet Earth. You can easily do it solo. But all the better when you do it with a skilled guide who knows how to enliven the experience with a smattering of history, urban legend, geography and local lore. A wonderful way to cap a full day of urban exploration! From this vantage point, I can visually recount the evolution of the city, starting from the days of the last Sung Dynasty Emperor, a 9 year old boy, in the 13th Century. Don't forget to ask me about Victoria Peak and the infamous South China pirates! Let me start by saying no matter how independent, self sufficient and proactive you may be as an experienced traveler, you cannot easily replicate my thoughtfully articulated cultural/historic presentation and running social commentary as we walk the old streets of Hong Kong Island and Old British Kowloon. I am not going to try to impress you by throwing around a string of worn out cliches and marketing buzz words such as ‘only as a true local can’ or 'real Hong Kong' or ‘hidden gems’ or ‘off the beaten path’ or ‘back street wonders’ (yadda, yadda). And I am most certainly not going to pretend I am some kind of Mr. Know-It-All. Instead, I will put forward three attributes: experience (I have been around the block so to speak and I know precisely what I am going to do and say to engage you and make you happy you opted for my services); judgement (I am a well versed student of human nature, so I have an uncommon ability to meet, connect and bridge between you, myself and whoever we will meet along the way) and focused attention on client service (I have been in this space all of my life and no matter what you may think of retired international lawyers, I will measure myself against the highest standards of excellence when I serve you). My pitch goes something like this. I have resided in Hong Kong almost 15 years now. Significantly longer than many others in Hong Kong's private tour guiding space. I also spent substantial amounts of time here on business and pleasure over the years following my earliest visits in the 1970s and witnessed the evolution of this city as well as the rest of North and South East Asia over the previous four decades. Many productive weekends spent exploring and photographing Old Macau--If you want the historic big picture of the Pearl River Delta, be sure to include the historic centre of Old Macau. I dare not say I know all the answers to what exactly makes Hong Kong tick. There are plenty of interesting theoretical and practical discussions to be had regarding this question. It is a cultural, social, political and economic jigsaw puzzle requiring constant updating and elaboration. I am, however, a person who made his career specializing in precisely this type of analysis and disassembling of myriads of such questions all over the globe and I know precisely how to communicate my up to the minute findings in this regard to you in a succinct, thoroughly engaging and down to earth manner. So despite how all of that may sound, you won't be spending your day with a pretentious academic type by any means! And while I consider myself an ambassador to this great city, I will not wrap it up and tie it in a red ribbon. My clients can expect an objective assessment of Hong Kong as a city, it's strengths and its shortcomings. It is very easy to hold oneself out as a local tour guide. Taking the Travel Industry Council guide course and being able to show others those so called "hidden gems" is the price of admission as far as I am concerned. If you want to elevate yourself to a higher level of the game. Much more is involved. If you want people to listen to you seriously, you had better be serious about what you are doing. That is the what it means to be a professional. I am not looking to diminish others who are out there. But I have aimed myself at the premium end of the market and that means higher expectations are to be satisfied. If you read my landing page I am sure you will have surmised that William is no run of the mill tour guide. How many private guides are there with my background? I recognize that road I traveled to get here is a road on my path of life. Much of my knowledge of Hong Kong and Asia is knowledge that I acquired long before I started preparations to offer premium guide services. Knowledge I acquired when my Dad ran a business here in the 1970s and I visited during summer breaks; living in an old Chinese neighborhood in a 'Chinese style' building; interacting with family and relatives in Japan, Thailand, Hong Kong and Macau; observing local holidays and traditions; relishing all manner of local gastronomy and night life; wandering and exploring old urban and rural neighborhoods as a raw street photographer; and just being a curious and alert cultural observer. Pawn Shop or Hidden Gem? I love photographing local pawn shops in Hong Kong and Macau. Here's an example of what I am talking about. What is that building over there? The simple answer is: That's a pawn shop. You go there and borrow money against personal property such as jewelry placed on deposit. The red sign denotes an upside down bat with a coin in it's mouth and involves a fair amount of Cantonese wordplay. Is that a hidden gem? Well, when you consider there are pawn shops all around Hong Kong. Not really hidden are they? 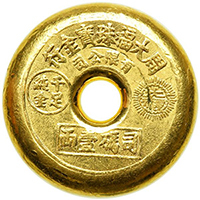 What if I were to tell you the pawn shop in China dates from the last quarter of the of the 5th Century A.D. That they were originally a commercial enterprise restricted to Buddhist monasteries where they remained for several hundred years. That in the Ching Dynasty there were almost 25,000 of them and during the Sung Dynasty lay proprietors wore black gowns to imitate the black robes of Buddhist monks. Suddenly pawn shops become very interesting indeed. Context adds to the scene above. BTW, that was the old Tak Shing Pawn Shop on Hennessy Road. After a community fight to preserve it was lost, it was finally torn down by the owner to build another office tower. And don't worry, I won't forget to explain the Cantonese word play on tour. Here is something to consider. 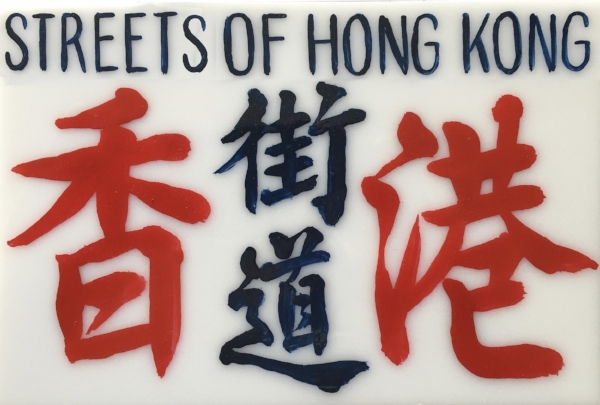 I have taken a substantial number of native Hong Kong folks on private walking tours and I am very proud to report that all of them enjoyed my old neighborhood walks immensely: "I didn't know I could still see this!". What does that tell you? It tells you someone has put time resource and a great deal of effort into delivering a unique experience. When I am not out on tour, I spend countless hours preparing myself to be a better guide. I read, I train, I explore, I experiment, I photograph, I practice and I have plenty of fun doing so. And I do fancy myself as pretty good at doing all of these things. Moreover, unlike many other tour guides, I have experienced more than my share of first class/five star travel over many years. So I have an concrete grasp of what a premium client expects. What may seem less obvious to some is second nature to me. Preparation, execution and follow-up with absolutely no unpleasant surprises to spoil your memorable stay, full stop. That is the unmatched experience you will have at your disposal during your private Hong Kong tour with me. One of the many snapshot moments that can be found along my routes. Clients will constantly hear me saying "camera please". In that time, I am going to deliver to you my comprehensive presentation of historic and modern day Hong Kong. My presentation will not be biased and will cover the strengths as well as the challenges facing and political missteps suffered by the residents of this great city. My presentation is up to the minute since I am constantly reading and absorbing current events and developments. You will hear my holistic presentation no matter what ground we cover and how much time we spend together. Bruce Lee--"Adapt what is useful, reject what is useless, and add what is specifically your own." No doubt you may have noticed that Bruce Lee has always been a role model for me. Think of it as a personal narrative that I will eloquently deliver and along the way that narrative will be embellished by all of the fascinating sights, sounds, tastes and scents that will fully immerse you as we wind our way together through the 'messy urban' streets of Hong Kong. I consider the skill and judgement applied in developing my narrative and my method of delivering it to you to be my own secret sauce. And the end result will be gratifying for all of us! And the other essential ingredient that makes my whole recipe a complete success is you! No matter who you are, where and what station or walk of life you arrive from, I guarantee that you and your personal observations regarding what we see along the will most certainly relevant and germane. My client roster is as diverse as you could ever imagine and the resulting interactions have been pure gold as far as I am concerned. Your humble guide greatly appreciates whatever nuggets of wisdom you can share. Indeed you will notice that many travelers have left their mark on my narrative. Learning is a lifelong process. I suspect if you carefully read the thoughtful reviews left by my clients you will quickly surmise as much. And, there is nothing I appreciate more than a thoughtful question or astute observation that elicits further investigation and follow up communication. Clients ask me to elaborate on various subjects for them all the time. Since there is limited time available on tour, I am always happy to follow up with you in writing. I have done this hundreds of times now, constantly improving and fine tuning my repertoire not to match, but exceed your highest expectations. As a result, you will see and experience more than you could ever possibly manage on your own. Read my detailed reviews on Trip Advisor to see what successful and demanding clients think of my approach to providing premium private guide services. You will leave Hong Kong with your memories documented with wonderful images. As an international point man, my previous professional endeavors required the highest levels of excellence in research, oral communication, cultural intelligence and human interaction. I have literally clocked hundreds of hours of reading and conducting field reconnaissance in my preparations. I consider myself a specialist and my new mission is simple: to be the best premium Hong Kong cultural tour guide your well earned money can buy. Here is what premium service sounds like! Wait a minute, how can that be possible? Culture can be observed in the oddest of places. It’s simple, by optimizing your time spent in Hong Kong. My premium Hong Kong private tour will serve as a multiplier of your visiting time. Give me one 8 hour day to show you around and you will gain another 8 over whatever could be seen by you on your own. Having seen almost all of of the essential points of interest in Central Hong Kong and/or Kowloon with me, all the guessing will be eliminated. You will know how to make the most of the rest of your precious visiting time and precisely how to to get the most of your explorations of the many other sights and attractions that remain to be seen confidently, efficiently and bolstered by the guidance of my well worn follow on instructions. I will arm you with all of the tools you will need to turbo charge the remainder of your travel experience in this wonderful world class city! You can optimize your enjoyment of your premium Hong Kong private tour by letting me know as much as possible about who you are, where you have been, what you like (and don't like) to do or see and and any particular requests you may have. The best way to do this is by completing the booking form on my Contact/Booking Page. If you are too busy, no worries, you can let me know by email or when we meet. Tell me as much as you think I need to know, what you would like to do and I will take it from there. Inasmuch as I am offering a bespoke premium service, please feel free to inquire if you have some other special request in mind! The first thing you need to know is I am never late. This means I am always early. When I arrive, the first thing I will do is contact you and let you know I am at the designated private tour meeting point. Please relax and take your time. I have plenty to keep me busy while I am waiting. After we have met and introduced ourselves, the next thing I will do is ask you for any last minute instructions or requests to be incorporated into your premium Hong Kong private tour. I am a strong advocate of managing client expectations. Accordingly, I will quickly run through my proposed plan for your day. I will let you know what the options are and how to include as much as possible given the time allotted for your tour, the expected weather conditions, your physical condition etc. I will also run through the various snack and dining options, all of which will be aimed to match your meal preferences. Please don't be shy. Let me know up front whatever I need to know to supercharge your private Hong Kong walking tour! And later, if you want me to change the program mid-stream, venture further a field, dig a little deeper, slow it down or speed it up, no problem. Because bespoke premium service is the order of the day and every client is my most important client! IT has occurred to me that the folks I serviced as a lawyer are essentially the same kinds of folks i am proffering my services to as a premium tour guide: you are extremely successful, intelligent, inquisitive, demanding and occasionally you might be difficult. in other words, You are just my kind of client! hire me to be your private guide and I will answer Your call for someone who is able to deliver an outing that is gratifying on multiple levels! Special Needs Travelers Welcome: Please submit your inquiry with details. Premium Service, Personal Attention, Satisfied Clients! No dreaded jewelry factory visit. No annoying comments by strangers. No rushing with the crowd...It's your tour! No dreaded jewelry factory stop...no unpleasant surprises, understand?